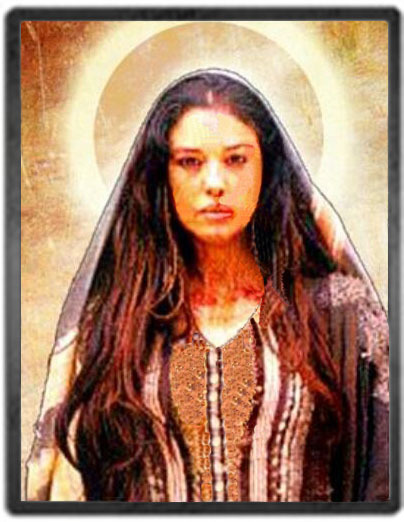 Greetings, Dear Ones, yes, it is I, Mary Magdalene. As I come to you on this most auspicious day, I say to you, Dear Ones, that I honor you and I hold you very close to my heart. As you may know, these are troubled times in many ways, and it is of great importance to allow yourself to realize that with every decision that you make, with every breath that you take, and with each intention that you take to hold peace for this planet, you will be affecting the whole and the energy for this beloved planet and all sentient beings. I say to you, Dear Ones, that the shift of vibration that has occurred upon this planet through the eclipse and through the fall equinox has created a powerful force field of energy that is creating great change. You can see it within your world with the fires, the hurricanes, the flooding, and much of the chaotic energy that is happening upon this planet. We ask you to take a deep breath and simply place yourself into a powerful force field of peace and imagine that you are shrouded with the energy of peace and tranquility. We have spoken about each of you being in the diamond light grid and using your powerful frequencies to make a difference upon the Earth, but today, we reinforce that you embody and embrace the vibrational frequency of peace as if you are now wearing it as a mantle. And so, I ask you to take a deep, deep inhaling breath, and begin to breathe in the energy of the white light of God. Breathing in the vibration of peace, breathing in the power of love, and holding this vibration close to your heart, because with each decision that you make, with every intention that you make, and through your journey of life, your vibration, your frequency, your heart warmth is healing the world. We are asking each one who listens to this and each one who hears and reads my words to begin to shroud themselves with peace and love, because know, Dearest Ones, that your energy and this vibrational frequency of peace and love does change the world. And so, Dear Ones, do not underestimate the frequency and the power that you are holding within your essence, you are making a difference, you are changing and affecting the chaos within the world by your mere presence, by your vibration of holding peace and tranquility. We know that you oftentimes do not value yourselves, nor do you truly understand the power of who you are, and it is difficult for your to realize that you are changing the world, affecting the world, and creating positive change through your presence, through your energy field, through your vibration. And so, Dearest Children, I ask you to take a deep, inhaling breath and breathe in this frequency of the power of peace and love, peace and love, peace and love. Breathing in this powerful frequency of peace and love, and holding this energy close to your heart. And truly begin to honor this, that you are a peacemaker, you are a peacekeeper, you are here by divine appointment to bring peace onto the world. We say to you, instead of becoming fearful, instead of becoming caught up in the negativity and the chaotic energy that is on your planet, we ask you to bless it, to send peace and love and tranquility to the vibration of the chaotic energy that is happening upon this planet. You may know that all of the Earth changes are happening for purpose and good. It may not appear to be, but it is in Divine alignment. And those who are in harm’s way, we continue to send peace, and we continue to bless, but we ask you to hold this frequency of peace so that your planet once again can return to balance, and that the Earth does not have to go through all of these cataclysmic changes. Mother Earth is a living, breathing, entity that is responding to the emotions and thought forms of those who are living on the surface of her planet. Yes, Mother Earth is responding to the energy and to the thought forms and the emotions of all those who walk upon the surface of her back. I am bringing this to you so that you can be mindful of your own emotions, of your own thought forms, of your own tensions, of your own actions, and that as you walk peacefully and gently and lovingly on the planet, it is affecting the Earth, it is affecting the collective consciousness, it is affecting the whole of all of life. You know that we are all connected and we are all one. Each one teach one, each one lead one. Every soul affects another. And you can see this, Dearest Ones, with the intention of those who are misdirected, those who are creating havoc for others, you can see that it affects the collective whole. But you can also see that those who are doing good, sending peace and love and kindness and generosity are also affecting the whole. And so, please make this your intention that you are going to walk upon this Earth plane gently and peacefully, lovingly, with a smile upon your face, and an open and generous heart, so that you will contribute to the change that you wish to see in this world. Once again, consciously make the intention that you are going to spread love, peace, joy, and light onto this world, because you are making a difference and affecting the whole. And so, Dear One, please accept this as the gift that we bring today, that we are encoding you and your vibrational frequency with peace and love and a generous spirit, so that you may serve the living God, the energy of the Earth Mother, as you serve yourself and all life forms. And so, Dearest Children, as you stand with us today, we ask that you visualize yourself with all here in this group and all of your fellow brothers and sisters on this Earth plane, and all of the angelic realm, all of your galactic brothers and sisters who stand with you. Can you see each being holding hands and reinforcing and uniting the energy of peace and love and shrouding this energy over the Earth? Emitting this frequency so potently and so powerfully into the crystalline core of Mother Earth. She is receiving this and she returns to balance, and she returns to peace. Can you feel this energy coming through your crown chakra? Can you feel the support, can you feel the love, can you feel the tenderness of the energy from your fellow brother and sister as they take your hand to guide you and assist you and support you. You are never alone, and yes, Dearest Children, the power of love will heal. It does heal, it can heal, the power of love will heal all. Remember that regardless of what is happening upon the Earth plane, peace and love will prevail. And so, in this moment, I ask you to call this frequency into your personal lives, and call peace into your physical body, and also call it into your emotions and your life stream, so that your life force energy and your individual lives and life styles and life pathway will be at peace. As if you are stepping on the yellow brick road to happiness, peace, joy, and tranquility. And so, Dearest Children, may the love of God surround you, the power of God protect you, the presence of God watch over you, wherever you are, God is, and all is well. And so, take a deep breath and breathe in this energy. Breathe in this protective force field, because it is surrounding you. This protective force field of peace and love is surrounding you. And we ask that you trust in this and never be afraid, and know that your pathway is divinely guided and protected. This will help you to make your decisions, this will help you to go through your journey of life, this will help you with any anxiety that you might be having. Simply everything is in Divine order and everything is as it should be. And so, hold the intention that you are going to remain sovereign over your own energy field and not allow any discordant energy to affect you. Return to center, return to balance, and allow your heart to open to the frequency of love. And so, Dear Ones, remember that you are not alone, and there are more beings of light that are with you, that are supporting and protecting and helping you, than you can imagine. And so, re-remember your connection, this is of great importance that you re-remember your connection to Oneness. Today, you are literally being plugged in, as they say, to the energy of Oneness. As you know, a part of the journey of the Earthly life is to return to Oneness, because you have been veiled from your remembrance at birth to some degree, some more than others. And yet, now it is time for you to awaken, and to feel it and to embody it and to connect, and to realize that your birthright as a beautiful spirit, as a beautiful soul, is your connection to the Great Creator. And so, feel the strength inside of you, feel the strength inside of you, feel the strength inside of you. You are not alone. You have never been alone, and you shall never be forsaken. And I’m asking you to visualize this energy of protection around you so strongly, that you will never doubt that you are protected and that you are able to direct and guide your life in Divine flow. I will repeat this again, I ask you to feel the force field of energy around you so that you realize that you are in Divine flow, as if you are walking on clouds, walking on water, you are in Divine flow. Allow your life to unfold and to take you to places, both physically, mentally, emotionally, and spiritually, that you never thought you would ever be. So open the channels for miracles to occur, open the doorway for all to unfold. You have the same abilities as another person to create and manifest the life that you desire. You have the ability to give to another what you have, so give your hand to another and assist them and lift them up. Teach yourself to be at peace. Yes, Dearest Ones, teach yourself to be at peace. Meaning closing off your mental mind and truly sitting quietly and listening. Being able to hear the still, quiet voice from within that guides you and directs you. Your own innate wisdom. What is your innate wisdom telling you? What is it calling you to do or not to do? This is your journey of the soul, it is your experience, you are not trapped in any life pattern unless you believe that you are. And so, step out of the box, step out of the box that you have put yourself in, and set yourself free. Again, each one teach one, each one lead one. And so, I ask you to step out of the box and set yourself free. This is a day of liberation, this is truly a day of transformation. It is partially why all of the Earth changes are happening. All of this energy that has been brought onto the planet most recently is affecting each of you and all life forms, bringing new change, new growth, new opportunity. Everything is being transmuted and purified and cleansed, and yes, healed. I know this may seem to be a bit as they say far-fetched, or hard to comprehend. Of why catastrophes are truly in divine order, but I say to you, Dear One, that when mankind returns to balance and peace within themselves, these cataclysms will no longer occur. So that is why I’m emphasizing today the responsibility that you have for yourself to set an example for others. And yes, you are affecting the whole by your presence, by your intentions, by your actions, by your thought forms. You may choose how you wish to live your life, but we are offering you another way of being. Choosing peace, choosing love, choosing the fruits of the spirit, and standing in this frequency regardless of what is happening within your life. Truly, Dearest Children, all is in order, and all is as it should be. So now, Dear Ones, I ask you if you so allow me to take you into the crystalline core of Mother Earth, as Isabella opens the gateway, and you enter into the center of the Earth. Mother Earth is welcoming you, and she is sending you so much peace and so much love. Allow her to incubate you for a time period, so that you can truly feel this within every cell, every fiber, every pore of your being. To feel it deep within your soul. That you feel safe, and you feel protected, and that you feel the peace inside of yourself. Truly, all is in order, and all is as it should be. It is simply time to awaken to the truth of what we call Divine Flow, Divine Grace, Holy Grace. We have spoken of Grace Elohim many times before, the frequency of Elohim Grace. And this is what is being embedded and enshrouded and encoded within you, Divine Grace, Holy Grace. And so feel the presence of all of your Master teachers and guides and beloved souls who have stood with you and guided you through your soul journey. Give them gratitude and send them love for being there to support you. And now can you support yourself, can you honor yourself, can you say I am strong within my essence, and I know why I am here, and I know how I am to serve? And so, allow the Living Light of God that lives inside of your being to guide you and to direct you. And so, as you feel this connection to the Earth Mother, here in the crystalline core, in the center of her being, begin to relax and to trust, letting all of the old patterns, the old worries fall away, letting go of all the old patterns and letting the old worries fall away. There is no need to be living and holding anxiety in your life form. When you believe and you trust that you are protected, that you are Divinely guided, and that you have and hold the strength within yourself of your own power, your own connection to God, you will never be confused or alone again. And so, Dear One, can you feel the connection of Divine love moving through your life? Divine flow. This is simply what we are bringing to you today, Dearest One, that you are riding what we call the wave and the vibration of Divine flow, Divine Grace, Divine, Holy Sacred Light that you are. 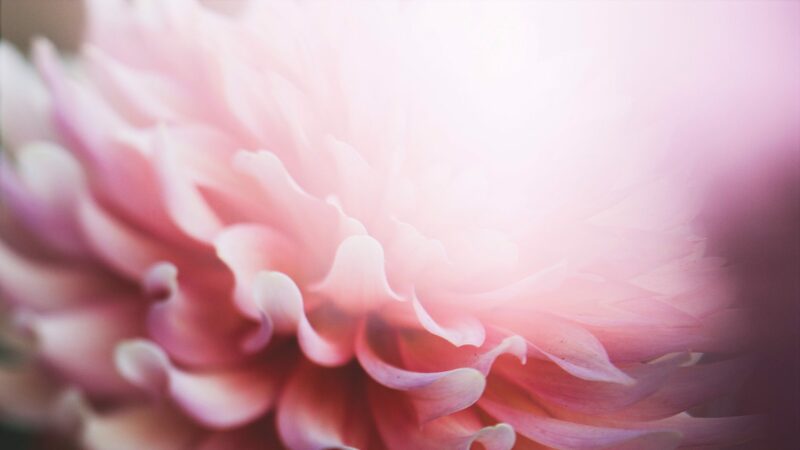 Remember, Dearest Ones, light in which you were created, and light in which you shall remain, this is a powerful frequency that is hard for you to conceptualize, that you are truly light, and that you are in this powerful frequency. When your mental mind begins to play tricks on you, as they say, please call in the energy of Elohim Grace, and breathe in peace. And breathe in tranquility. And center your life in peace. Truly know, Dearest Children, all is in order, and all is as it should be. Every decision and every step has led you to this moment called now. And so, begin to trust in your innate wisdom, consciously begin to trust in your innate wisdom, it is your connection to God. And your innate wisdom will tell you the next step, moment by moment by moment. Every step of the way, you will be divinely guided, you are divinely guided. And so, we ask you to hold this intention within your heart. That you are at peace, and nothing or no one can take it from you. You are at peace, nothing or no one can take it from you. And so, Dearest Ones, be the change you wish to see, and do not allow the energy upon the Earth at this time to frighten you and to keep you off balance. As you hold strong in your faith and your commitment, you will never be forsaken. And so, Dear Ones, know that the Living Light of God that lives inside of you continues to shine brightly. And so, now, Dearest Children, as we bring you forward into this moment called now, we simply ask that you open your eyes and begin to see the world that is at peace, and the world that you create is both beautiful and magnificent, lovely and Divine. You step forward and everything falls into place, easily and effortlessly. So now, as you are connected and grounded to the Earth Mother, begin to feel this peace and balance inside of you. And so, now, as you return from the crystalline core, come back into your embodiment, we ask that you open your eyes to the truth that you are a powerful, powerful, being of light, and you are now at peace. We thank you for your time, we thank you for your attention, we thank you for the energy of the Living Light of God that you are, that you hold this presence within your heart so strongly, so purely, so effervescently, that your energy brings forward and affects and changes the world in a most beautiful and positive way. This is a time for each of you to master this and to turn within, and to truly begin to understand and to live in Divine flow with the Living Light of God that lives inside of your being. Go now, my children, and until we speak again, feel the presence of God inside of you and let your light shine so others may see.